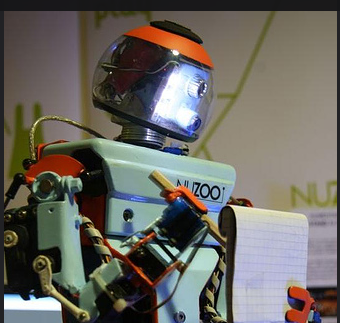 New Reuters Institute for the Study of Journalism (RISJ) report examines digital intermediaries and their effect on news plurality in contemporary media. 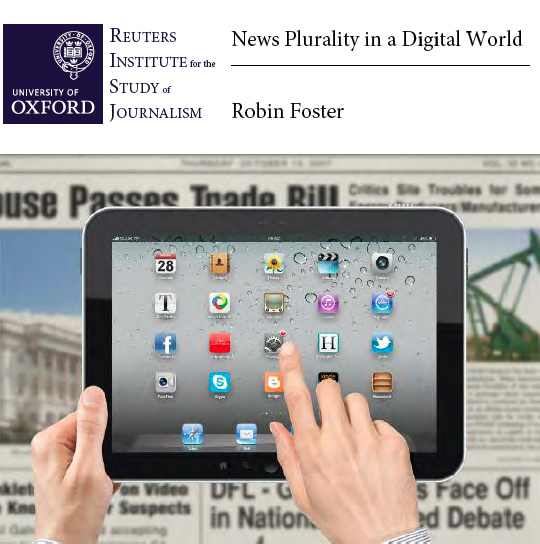 “News Plurality in a Digital World,” authored by communication policy expert Robin Foster in July 2012, contains a complex diagnosis of the contemporary media scene, explaining that new and existing forms of digital intermediaries have the potential to become crucial gatekeepers of news content. To date, little is known about how the actions of digital intermediaries could affect news plurality and how the current regulatory environment would respond to such a threat. Foster seeks to fill this gap by examining the behavior of digital intermediaries while also analyzing the value or detriment of their actions. In his report, Foster paints an intricate portrait of the role played by digital intermediaries, layering and dissecting the differences and characteristics of each aspect. Initially Foster separates the category of digital intermediaries by classifying four different forms – news aggregators (Yahoo), search engines (Google), social media (Facebook), and digital stores and devices (Apple inc.). These four forms are then divided into two groups. The first group consists of news aggregators, which according to Foster, “should be treated in the same way as established news media when considering plurality, ownership, and press regulations.” Examples include sites such as Yahoo, MSN, and the Huffington Post. The remaining intermediaries – search engines, social networks, and app stores – are classified separately because they are neither neutral nor full members of the traditional news sector, as news aggregators are. Their impact on news plurality can be again classified into four separate categories – distribution, editorial judgments, future economic models, and political influence. As Foster and others address the growth of digital mediums and point to a new and potentially lucrative sector for a struggling media market, holes in the current regulatory system could create problems in the future if large digital intermediaries begin to threaten media plurality. For example, “distribution bottlenecks” could develop as large private digital intermediaries begin to gain access to key demographic groups, thus providing augmented leverage and a motive to restrict plurality to increase profits. Foster concludes his analysis by pointing to a lack of existing regulation as well as the inability of current policy to restrict the growing threat to news plurality. Three companies listed heavily in Foster’s report (Google, Yahoo, and Facebook) own the top four most viewed websites on the Internet, meaning their potential share of the market could grow quickly before safeguards are in place. Current options for restrictions include the banning of large media conglomerates, caps on market share, and public media funding. The difficulty in using these methods is twofold, both in the sense that exhibiting harsh restrictions on a volatile market could damage potential growth and also that public funding is often held under extreme scrutiny. Foster outlines a potential policy and regulatory future for digital intermediaries by designing a four-tiered approach meant to quell the power of burgeoning media conglomerates without aggressively clipping their wings. The approach begins by designing new effective competition requirements in order to respond to dangerous fluctuations in the market that could potentially decrease news plurality in the future. Foster suggests “regular monitoring of market developments by a designated authority,” as part of the potential solution. Lastly, Foster recommends that policy for digital intermediaries be written into new media regulations and that Ofcom, the independent regulator and competition authority for the UK’s communications industry, conduct a formal review. While attention turns to staving off the demise of the fourth estate, hopes are high that digital media and the potential of the medium will breath new life into the ultimate goals of the contemporary news world. Unfortunately, as Foster states, the evolution of digital media outlets is mainly in the hands of “new and powerful intermediaries, such as Apple, Google, Amazon, and Facebook.” – meaning the behavior of these players will largely dictate the plurality of digital news media in the coming future. The RISJ report is an important step in both identifying the intentions of the market’s players, while also mapping future regulatory policy in order to secure the protection of news plurality.